Get your EYEBROW EXTENSIONS in Phuket at Vayo Massage and Beauty Salon on Soi Post Office in Patong. While in Thailand, make your Eyebrows look great with Eyebrows Extensions! Eyebrow Extensions is a great way to look more beautiful! This beauty procedure will give you a great look! Sara, the owner of Vayo Massage, Qualified and Experienced Makeup Technician will apply Eyebrow Extensions. She will use specific techniques for Eyebrow Extensions (a semi-permanent beauty procedure). 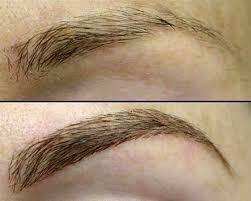 Eyebrow Extensions look realistic and natural! Eyebrow Extensions for a beautiful look!